In the digital landscape, videos play essential roles in making stories stick. Internet consumers love informative, fun, and engaging visuals. Because of this, teaming up with an animated explainer video company is one of the best things you can do to your business. Animated explainer videos are designed to communicate a brand’s value in a clever and engaging way. These type of videos provoke empathy, emotions, and humor while educating the consumers about a product or service. They can also boost your brand’s followers, conversions, and even sales. A single video might be short, but the process behind it requires tons of creativity, storytelling skills, and hard work. Charlie Aquino, an animated video strategist, surely has these talents. Charlie is the Co-founder and Managing Director of SophieCreatives, an animated explainer video company that aims to help businesses educate and engage their audience. Charlie and his stellar team have created over 500 explainer videos. They have partnered with various companies and startups, such as Unilever, Meralco, Cisco, Bosch, Philam Life, and World Trade Centers Association. 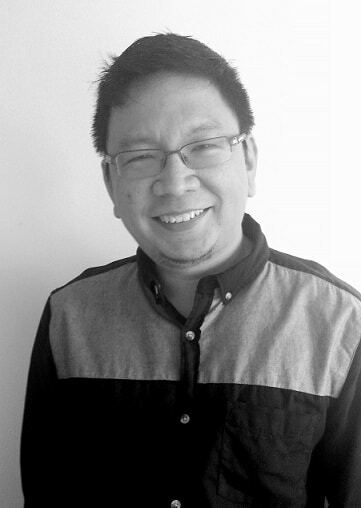 In the local freelancing scene, he coaches and motivates Filipino freelancers. He speaks in freelancing events and shares his knowledge to help and inspire the community. Check out our interview with the awesome video strategist and co-founder of SophieCreatives, Charlie. Can you tell us more about what you do as a freelancer? Together with my team, I enjoy helping businesses explain, educate and engage their customers through animated explainer videos. We provide a service called ‘motion graphics’ with a focus on explainer videos. What made you decide to go into freelancing, and was it something you wanted to do? Freelancing came to me by accident in 2009, a year after I left my corporate job. Back in 2008, fresh out of resignation, I was pursuing many different paths to make money online. I did internet marketing, blogging, affiliate marketing and even network marketing. But none of those really made me money. When my fiancé resigned from her job in 2009, she immediately got a freelancing job in oDesk. I introduced her to oDesk in 2008, but I never really used it. So when she got a gig on the platform, I got curious and I knew I had to look into oDesk and freelancing. And that is when my journey began. What do you love most about freelancing? There are many things I love about freelancing. Here are some of the most important ones for me. a. I get to work at home and spend a lot of time with my wife and kids. I am able to be there to watch them grow. b. No traffic to beat. c. I get to have a choice in many things – where I work, when I work, the clients and projects I work on, when I can take a vacation, when I can ramp up my work if I want to earn more. I never had this choice as an employee because everything was defined by your company. d. I get to learn how to build a business. e. I meet a lot of clients and get to work on a lot of different types of business. What is the biggest challenge you faced as a freelancer? How did you overcome it? The biggest challenge is scaling. It’s hard to scale a service business like freelancing. The reality is we can’t work for 40-60 hours every week. You can if you are in your 20’s and single. But as soon as you reach mid-30’s and 40’s with a family and kids, it’s not possible anymore. So to earn more while doing less, you have to be creative as a freelancer. In our case, it meant charging by the project, not by the hour. It also meant building a remote team so you can outsource your projects to them, essentially multiplying yourself. Then you need to be picky about your clients because having a few high-paying clients are worth more than having several small ones. You also have to learn to find clients on your own and not to be dependent on freelancing sites like Upwork. Lastly, you need to start thinking and acting like an entrepreneur. Because the moment you do everything I mentioned above, you really are not a freelancer anymore but a business owner. What do you think is your best trait that contributed largely to your success? I cannot think of just one thing or the best trait. Most of my accomplishments are results of taking risks and doing something I was uncomfortable doing. But there are a few things I did that contributed to our success. a. Focus on one service – You cannot be a successful freelancer if you provide a lot of different services. You have to choose one and be an expert in it. To be a generalist is a risk and you can’t expect to be paid a lot. There are many generalists out there who want the same job or projects as you do. b. Invest in your training – The beauty of freelancing today is that there are a lot of courses available to help you succeed. When I was starting, there was none, and that is why it took many many years to enjoy a successful freelancing career. Nowadays, you can be a well-paid freelancer in just under a month or a week by enrolling in courses designed to help you on that. c. Do not just be good at you service, be also good about business – As a freelancer, you are essentially a one-man business. For a business to succeed, you need to be good at two things—making stuff and selling stuff. So aside from learning about your service, learn how to market yourself, how to write proposals, how to do discovery calls, and how to close sales. For many, this is uncomfortable territory, but it is essential if you want to succeed. What do you think is the biggest challenge in the freelancing industry in the Philippines? I think there are external and internal challenges faced by people in the freelancing industry in the Philippines. The external one includes internet infrastructure, government recognition as an industry, and government support to ease the running of a solo business. The internal ones are mindset shift from employee to entrepreneur, being more collaborative than competitive, knowing our worth, and charging correctly. What book greatly influenced your freelancing career? I started out without the help of many books, but by listening to audio recordings from authors like T. Harv Eker, Brian Tracy, John Maxwell and more. Recently though, my growth is highly influenced by people like Chris Do of “The Futur” and Joey Korenman of “School of Motion”. The books that inspired me are “Win Without Pitching Manifesto” by Blair Enns, “The 4-Hour Workweek” by Tim Ferris and “Real Artists Don’t Starve” by Jeff Goins. What do you think makes Filipinos great as freelancers? I think it’s our work ethic, adaptability, and resilience. But sometimes these strengths also get us into bad spots with bad clients. What piece of advice can you give to aspiring freelancers, especially to those who are struggling to get a gig? Learn how to market yourself. Invest in yourself and enroll in a course about marketing yourself. This will be the same advice I would tell myself 7 years ago and even until now. Freelancing is not Upwork, Onlinejobs.ph or other freelancing sites. Freelancing is about being in a business for yourself. Sure, you might be an expert in your field, but if you don’t know how to market and sell your service, you won’t go far being a freelancer. To know more about Charlie’s animated explainer video company, visit SophieCreatives website here. You can also connect with him on LinkedIn or shoot him an email at charlie@sophiecreatives.com.